Get rested and ready for anything at the Quality Inn in Ironwood, MI. Located within a mile of the Wisconsin state border, our hotel is situated on the western end the Upper Peninsula. Here, you can get work done in our business center, with access to copy and fax services, or hold a get-together in our meeting space. Additional amenities include free WiFi, free hot breakfast, outdoor parking, an indoor heated pool and valet cleaning services. 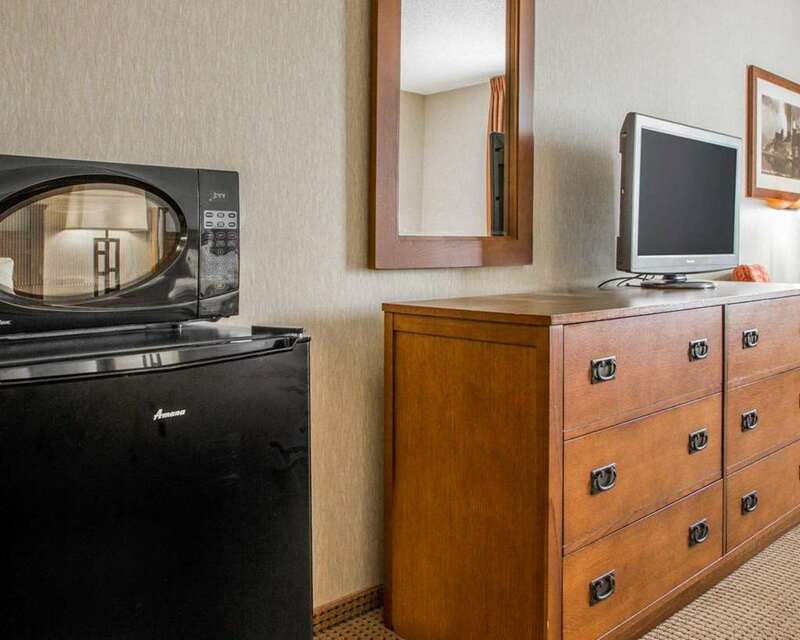 All guestrooms feature coffee makers, hair dryers, TVs, irons and ironing boards. Some rooms include microwaves, refrigerators and a hot tubs. Also, earn rewards including free nights and gift cards with our Choice Privileges Rewards program. Little Girls Point Cnty Pk.